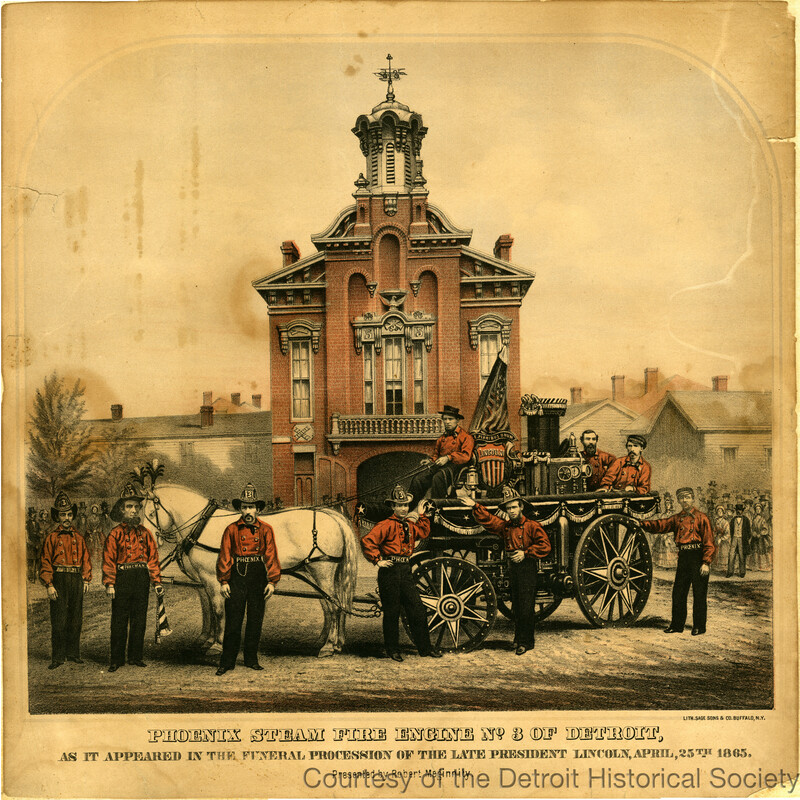 Color lithograph by Sage Sons and Company of Buffalo, New York of nine members of Detroit's Phoenix Steam Fire Engine Company No. 3--from left to right, Patrick Flattery, George W. Lyon, William Hopkin, Captain Benjamin Guiney, James King, Michael Sawney, John McCurran, Anthony Logan, Frank Sweeney--with their engine which is decorated for Abraham Lincoln's funeral procession, depicted in front of their fire station. The men wear red shirts, black pants, belts stamped with either "Phoenix" or their rank, and helmets or caps.